You have a Joomla website with very many your clients, and you also have a Wordpress website. 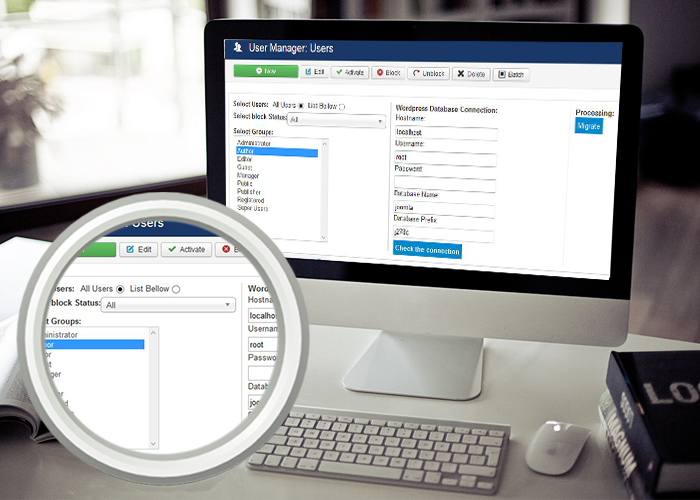 You want copy/migrate your Joomla users to WordPress users, and of course you can not do it by hand because you have hundreds or thousands of users. 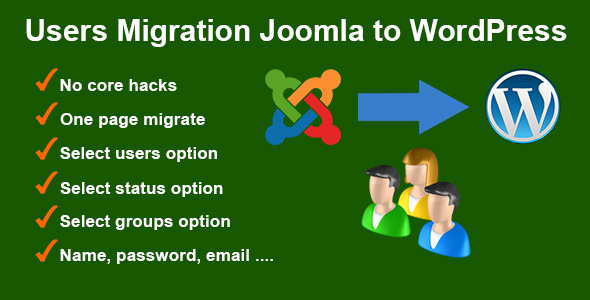 Come with “Users Migration Joomla to WordPress”, you just install, select a few options and click migrate, we will done your work. Very easy to use, everything is done automatically. Very fast and does not require any technical. If you have any problems or questions, as well as if you want any customization, do not hesitate to contact me. Extension Features No core hacks.